Bug guts on your windshield are an inevitable part of life and a reminder of your own fleeting mortality. But they’re also a major drag on the aerodynamics of a car or plane: they reduce the fuel efficiency of airplanes as much as a whopping six per cent, according to NASA. That’s a major difference in cost, and could amount to millions when tallied across an entire fleet. 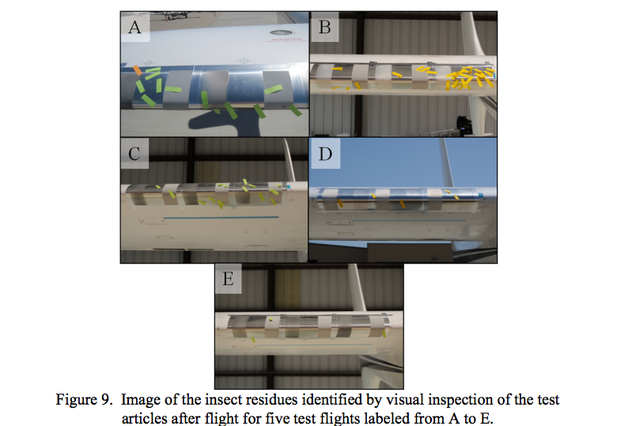 That’s why, for the past few years, NASA has been working on a chemical coating that could prevent bug guts from getting stuck on the wings of planes and creating unnecessary drag. Though NASA first published a paper on the topic in 2013, it’s now testing five different coatings on a Boeing 757 to find out whether they work. The retrofitted 757 where the coatings will be tested. Image: Boeing / John D. Parker. It’s not just water you have to deal with. “Yes, there’s a lot of water in a bug, but there’s also some biological components that actually impart the stickiness, and we have to deal with preventing those from sticking even though we know how to prevent water from sticking,” [Mia Siochi, of the Advanced Materials and Processing Branch at Langley] said. Suffice to say, the upcoming tests out in the wild are the result of years of testing and research. 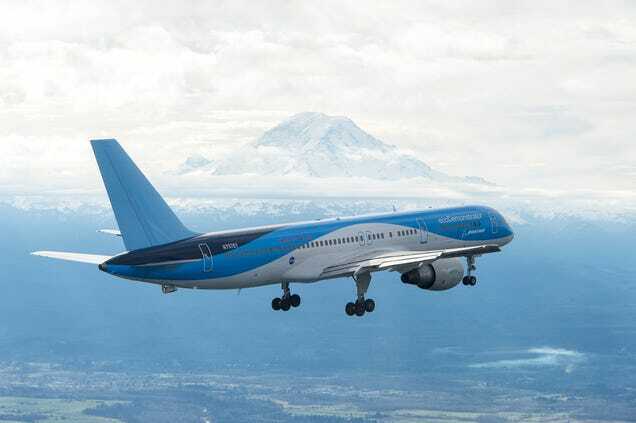 Last week, NASA announced it would be running a series of experiments on a 757 that it’s testing a number of other efficiency-oriented design changes on. 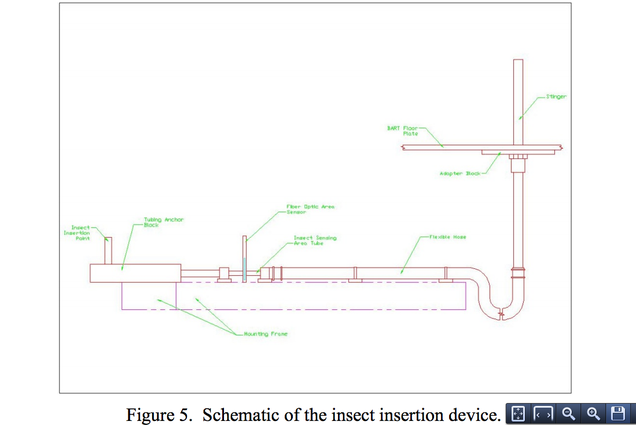 To create a control group, it’ll measure how many bugs accumulate on the un-coated wings. Then, it’ll install five coated panels on the wings to see how they differ. So next time you're cursing the steady build-up of bugs on your car's windshield, be thankful you don't have to deal with them on this sort of monumental scale.